Update 08 August 2007: diagonal mesh show-up correctly also in community lot. There was a bug in the diagonal mesh that prevented it to show up in the buy mod catalog in community lots. Thanks to anak_ponti for report the problem. 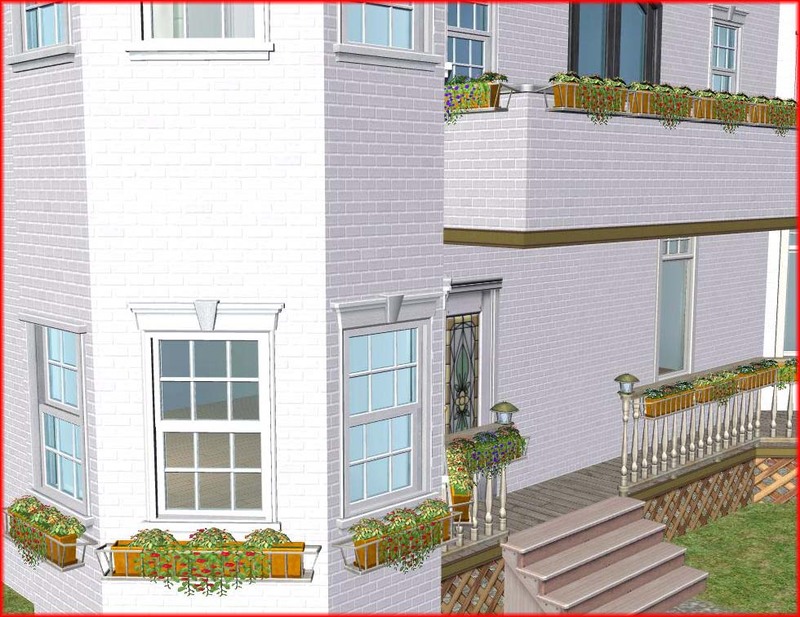 Make your houses more beautiful with "realistic" flower boxes on balconies and fences !!! 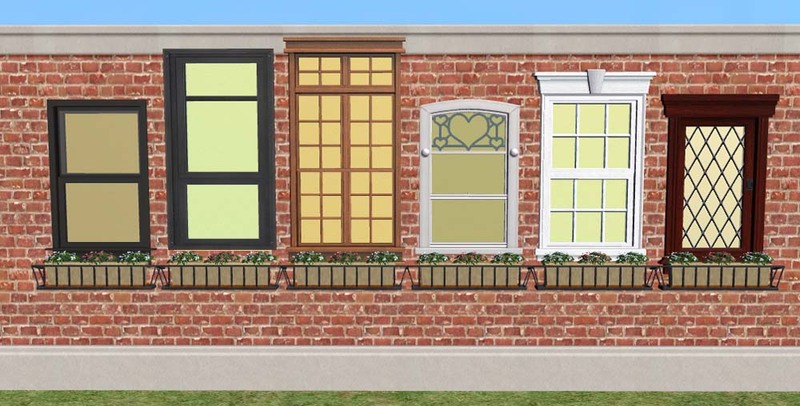 This flower box can be applied to all the half-walls, to all the fences and the windows whose height and position allow to have it. 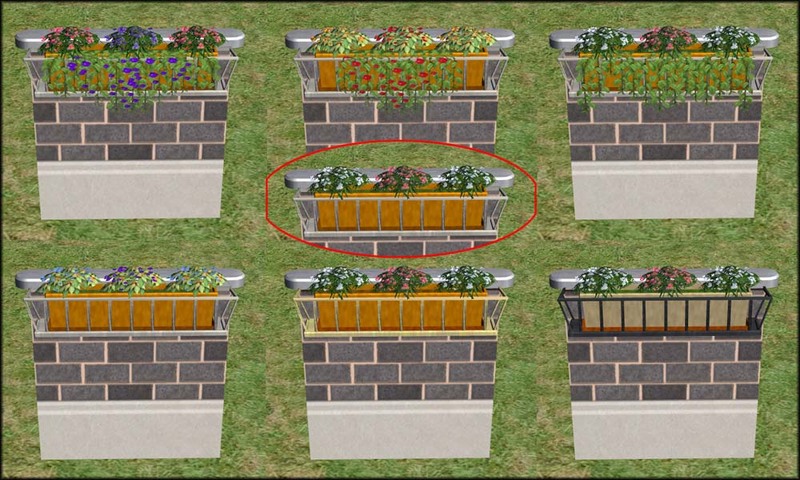 The flower box is provided in two separate elements : straight and diagonal. There are two recolourable parts, "flowers" and "vase", that can be recoloured altogether or separately. The element without the back panel is a recolour of the main flower box! It is not a separate element! In the game, you can find the flower boxes in Buy Mode catalog -> Decorative -> Miscellaneous. 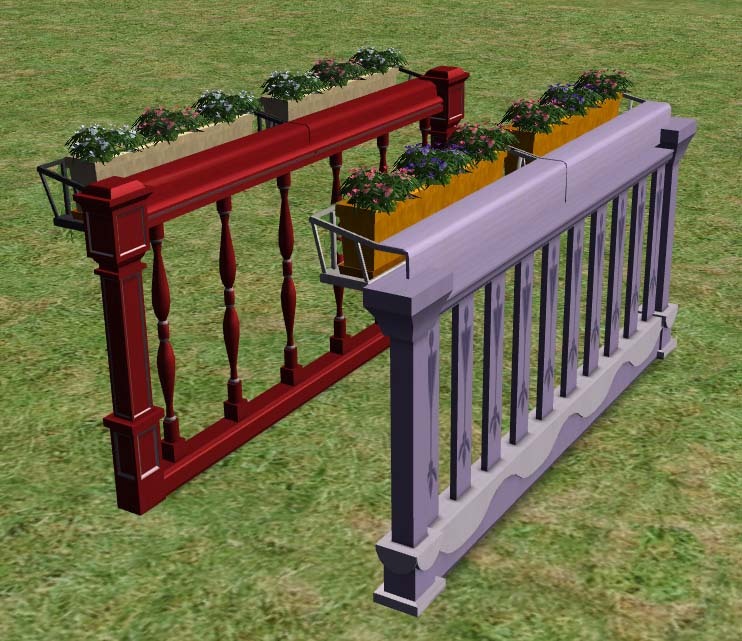 I have made special recolors to coordinate the flower box with the Fences "Classical Ascension" and "Gelander". Open the file with Object Workshop in SimPE and select the subset "vase" and/or "flowers". You can choose the texture with or without "invisible part". The recolors will apply automatically on the diagonal model. You can follow this tutorial. It's really easy to make custom recolors for the floxer box using my default textures as a template. The Flower Boxes can be included in lots posted on free sites (NOT EXCHANGE!!! ), no paysite, as long as credits are given to MaryLou and a link to this page is provided. Again, thanks to Numenor for his advice and suggestions !